Hiroki Nakadoi, Shinya Taniuchi, and Akira Kagimoto all attended Osaka’s “Caless Vocal and Dance School” and became good friends. By March 2002, they began doing live street performances, on the streets of Shiroten, Osaka; under the dance unit name of “remix”. By May 2002, they renamed the group from “remix” to “flow”. After having the name change, the three decided to recruit a fourth member. Meanwhile, on April 13, 2002 – the “Kyushu/Fukuoka Starlight Audition” was held in Okinawa, Japan on a search for new talent. At the time, thirteen-year-old Keita Furuya and another contestant were declared winners out of the 8,751 hopefuls that had auditioned. 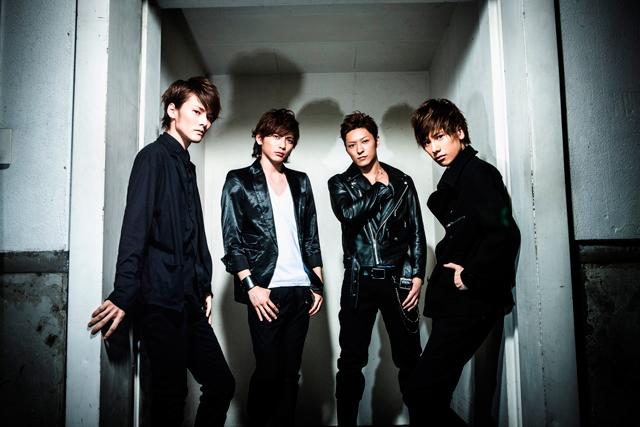 Flow tracked down Keita and he soon joined the now four member group “flow” as of May 18, 2002. On May 23, 2002 – The group underwent another and final name change, officially becoming “Lead”, as they hoped to become a leading group of the age. Around early July 2002 – They held their first live street performance as a four member group “Lead” at Osaka Castle Park. Giving the public a taste of not only their dancing, but singing and rapping as well. The event was a huge success with around 7,000 attendees. Lead also became the opening act for budding group w-inds. for their first live tour – “1st Message”, and performed in front of a 120,000 people each opening. Lead then soon released their first debut single “Manatsu no Magic (Mid Summer Magic)” on July 31, 2002. That same year, Lead had won ‘Best Newcomer’ on the 44th Japan Record Awards. Now six years later, Lead has released to this date a total of 14 singles, five albums, seven DVDs, and have done five tours. As well as making numerous guest appearances on talk shows, hosting their own TV shows, and starring in movies and dramas, not to mention winning a total of three Japan Record Awards. On August 5, 2009 they released their 16th single “Gira Gira Romantic”. July 28, 2010, their 17th single “Speed Star” was released. Their 18th single “Hurricane” was released on August 10, 2011. [dated info]. Their 19th single “Wanna Be With You” (released on March 14, 2012) peaked to No. 3 on the Oricon Weekly Chart making the single their highest ranking single in Oricon. On December 12, 2012 their 20th single “Still” was released.